Thanksgiving is just days away, and with it comes the anticipation and joy of the holiday season, and the task of hosting the family gathering. I think a lot of families, mine included, are a lot like fudge – sweet, with a lot of nuts! It certainly makes for some interesting holidays, but that’s no reason to stress about your upcoming hostess gig. Prep like a pro with these simple, yet impactful tips for being the hostess with the mostess at your upcoming Thanksgathering celebration. 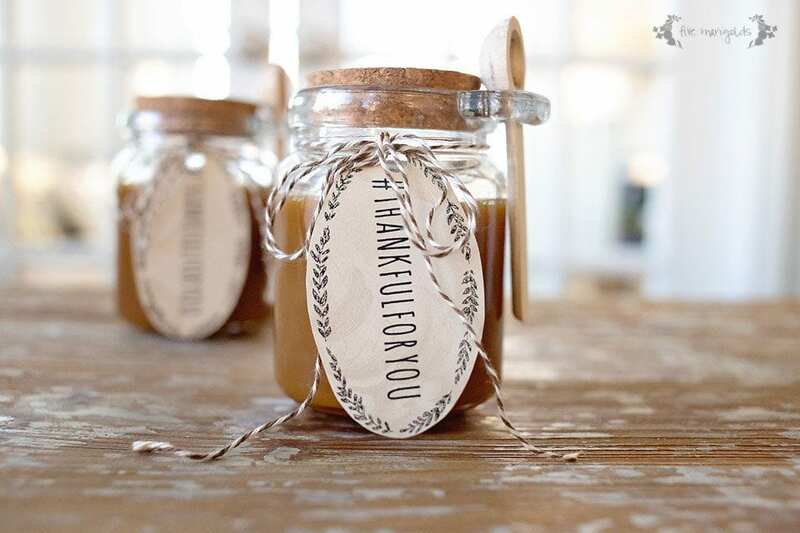 Personalize your gathering by prepping a simple, but thoughtful gift for your guests a week before your soiree. Sure, it’s traditional for the guests to bring a hostess gift, but you’re no rookie! Make a batch of Salted Caramel Sauce, pour it into pretty jars, and refrigerate until your Thanksgathering. Tie with baker’s twine and add a festive gift tag, like this one I’m offering as a free download! Clean House – It goes without saying that your home needs to be squeaky clean for entertaining. Grandma’s coming, and she’ll tell you exactly how she feels about your housekeeping skills! 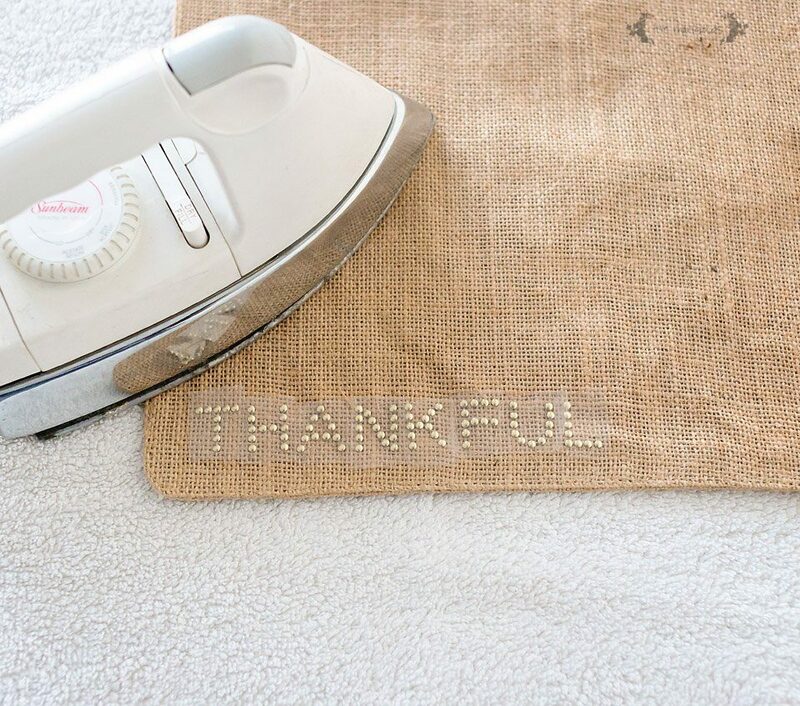 This doesn’t need to be the most dreaded hostess task! I like to keep things simple in the housekeeping department, arming myself with just a few items that will prep my home from top to bottom – even to Grandma’s standards. 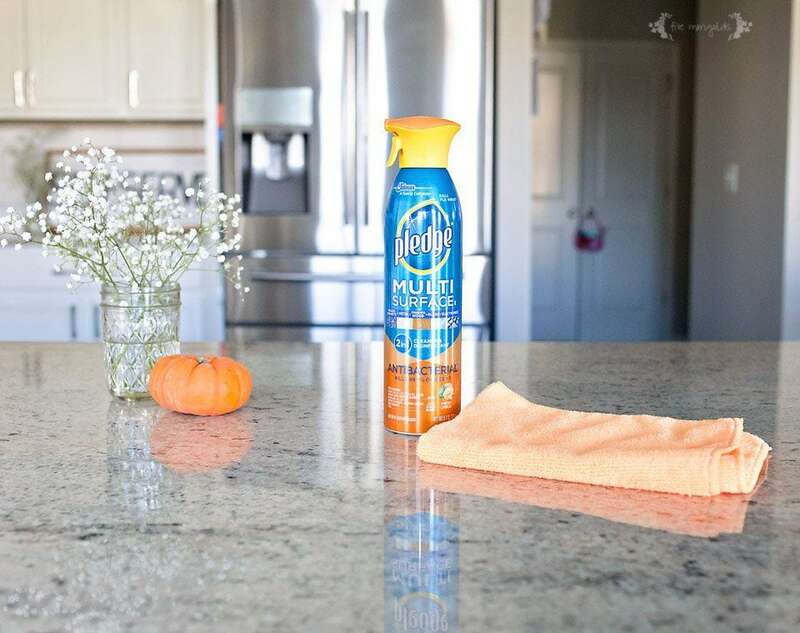 I use Pledge® Multisurface – Antibacterial because it cleans and protects everything in my kitchen – from the granite counters to the stainless steel appliances and table. The powder room needs extra attention, too. 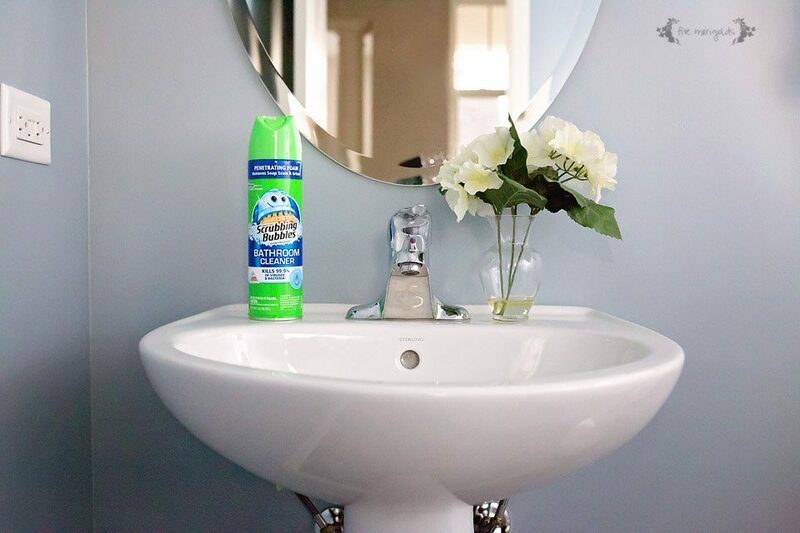 Scrubbing Bubbles® Fresh Clean Scent Bathroom Cleaner takes care of cleaning and disinfecting. No need for your guests to see signs that you actually use that room, amiright? Set the tone with scents of the season. I love using scented candles for entertaining, and the holidays are no exception. 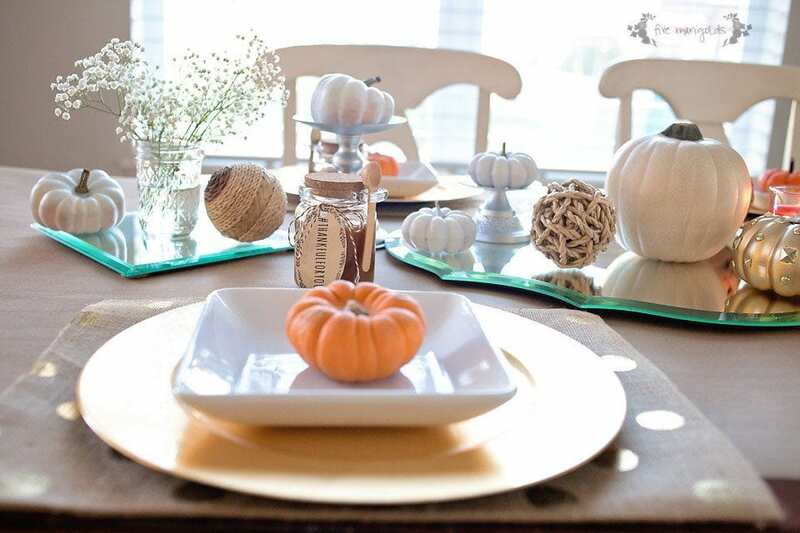 This Glade® Apple Cinnamon Candle not only smells amazing, but it adds color and light to my fall centerpiece. Bonus points for masking the smell of Aunt Mary’s mystery casserole with apple cinnamon goodness! 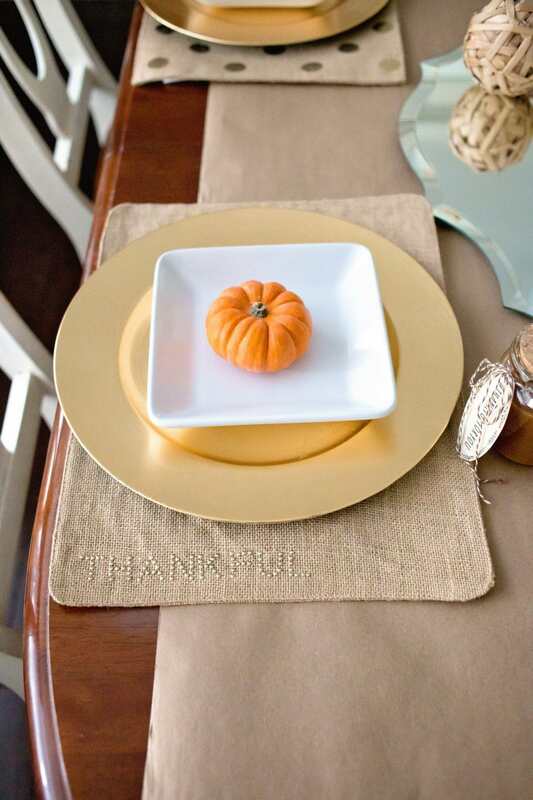 Add special details like an Instagram-worthy place setting. I covered the table in butcher paper and some unused mirrors as the base of my centerpiece. 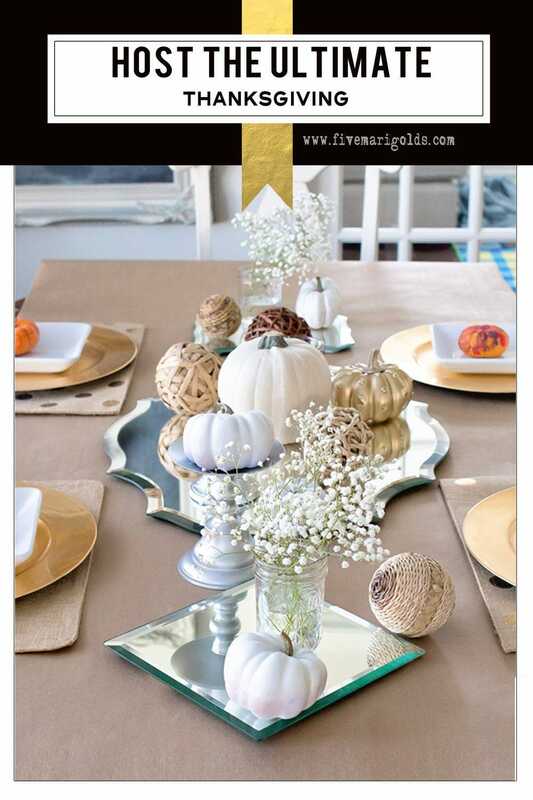 I added pumpkin gourds and candle pedestals to create height. 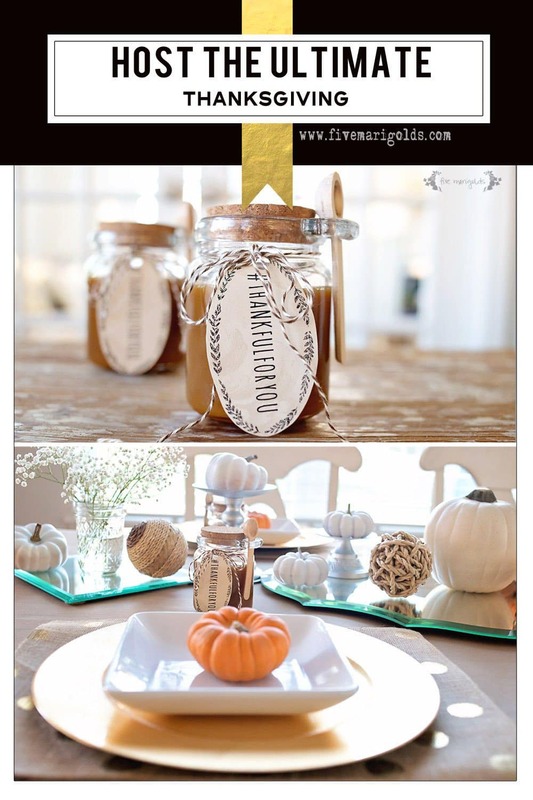 Are you a fan of my Thanksgathering hostess tips? 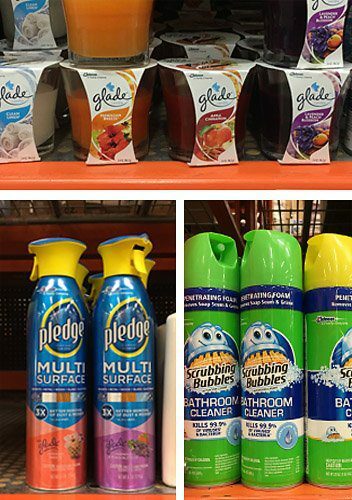 You can find all the cleaning supplies you need at Home Depot to prep for the big day. Find more awesome ideas and beautiful inspiration here and here. 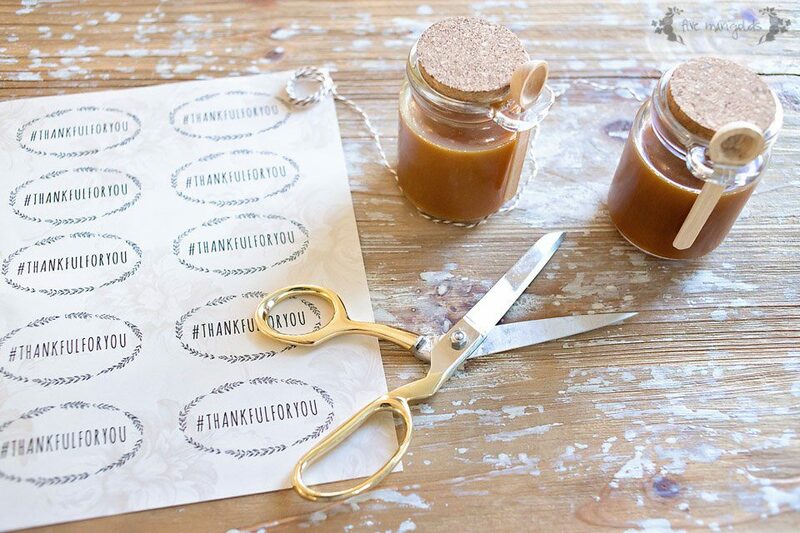 Love the idea of a caramel sauce gift! I love your Thanksgiving guest gifts!